keep up your energy levels until lunchtime! I'm sensing a little bit of a theme this week. Do you see it, too? I've been talking about the importance of eating breakfast lately, so I thought I'd share another fabulous recipe with you! 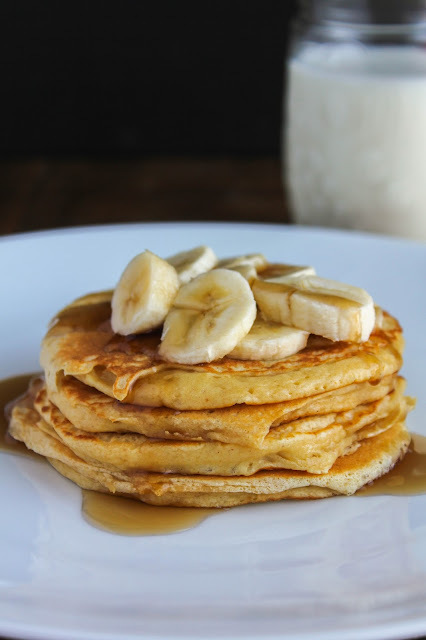 These Peanut Butter Protein Pancakes are not only delicious, but they are protein packed and will definitely jump start your day. 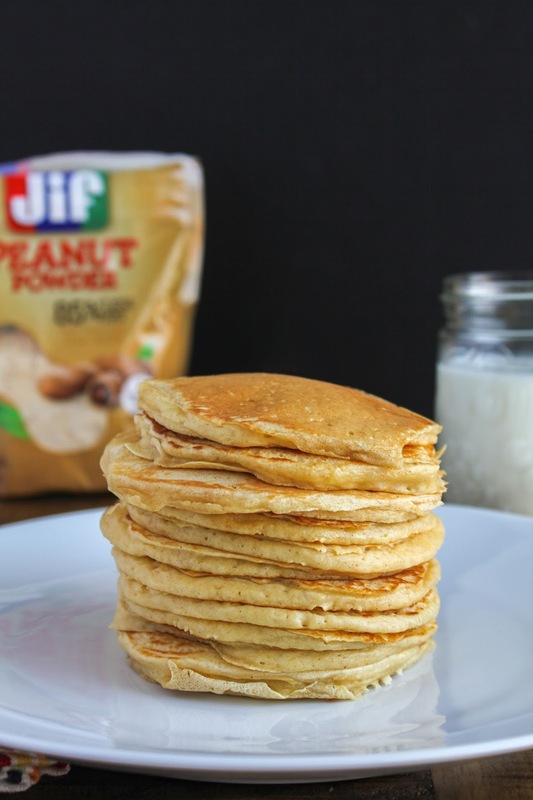 I used Jif Peanut Powder for the first time ever when I made these pancakes, and quickly became obsessed! The powder is great to add to smoothies, in your baked goods, and, of course, in pancakes! Jif Peanut Powder contains the same amount of protein as traditional peanut butter, but with less fat and sugar. 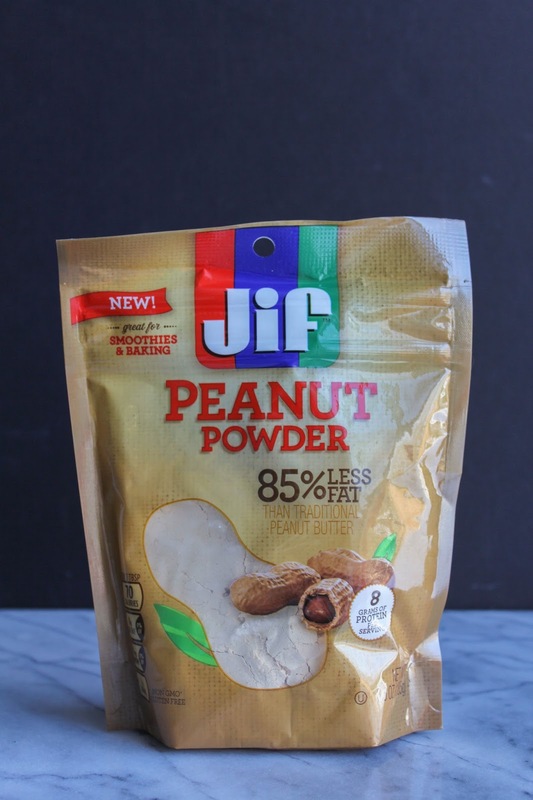 Another awesome fact: Jif Peanut Powder is made from just one ingredient, fresh roasted peanuts, and has no added sugar or salt! That right there is music to my ears. As I try to stay on track and stick to my 2016 goals, I've really been exploring different ways to get more nutrients and protein in my body. Having a hearty breakfast is one of the first steps, because we all know that breakfast is the most important meal of the day! 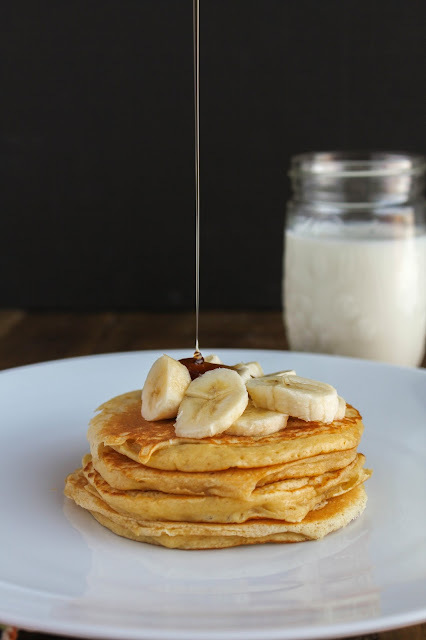 I love homemade pancakes and this recipe is so simple to make. I like to make a double batch and freeze the leftovers. On a weekday morning when you're pressed for time, just take a few pancakes out of the freezer and pop them in the microwave. In just a couple of minutes you'll have a nutritious and delicious breakfast on the table for you and your family! What would you make with the Jif Peanut Powder? Share with me in the comments below! Now, let's make some pancakes! In a large bowl, whisk together the flour, peanut powder, baking powder, and salt. In a small bowl whisk together the milk, yogurt, egg, and vanilla extract. Add the wet ingredients to the dry and whisk together until smooth. Preheat a griddle or skillet over medium-high heat and add a teaspoon of butter. Using a 1/4 cup measure, pour the batter onto the prepared griddle. Cook the pancakes on the first side until small bubbles form on top, then flip over and cook on the other side until brown. Repeat until all the pancakes have been cooked. Add three of four pancakes to a plate, top with banana slices and add your favorite syrup. I found everything I needed to make these delicious protein packed pancakes in the Peanut Butter aisle of my local Walmart store!